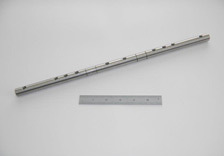 At Ohio Metal Products we specialize in the machining of tight tolerance components for a wide range of applications. 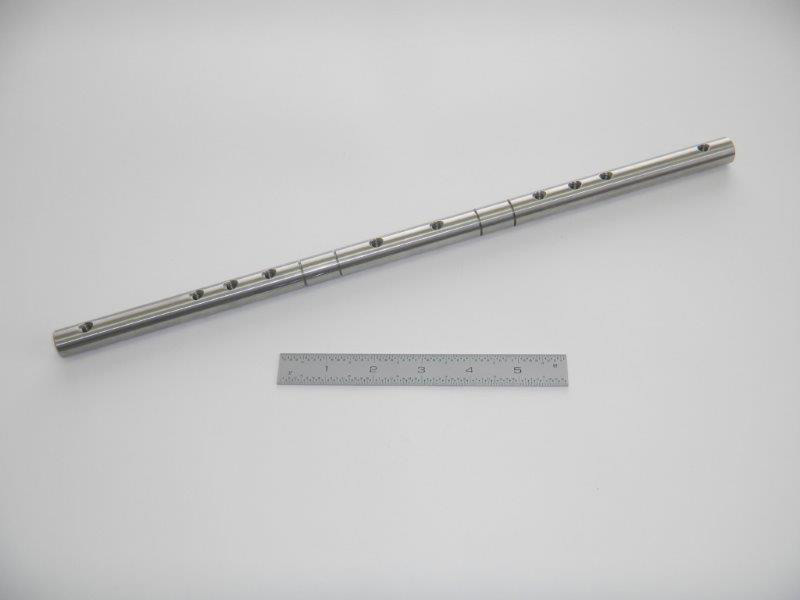 In this project we were contacted to manufacture a number of high precision bearing shafts. Using bearing shaft quality 303 stainless steel, we utilized our high speed drilling and tapping equipment to fabricate these parts according to a customer supplied design. This project required the use of a number of our machining capabilities, including our Brother Drilling and Tapping center and a single spindle screw machine with magazine bar feed. We completed 1000 of these bearing shafts which measured .6240” in diameter and 15.500” in length, and featured tightest tolerances of ± .001”. For more information about this drilling and tapping project, please see the following table or contact us directly.